Unexpectedly high power bills can be a cause of consternation and anxiety for many households. Smooth payments can be an option for Kiwi customers who think: “How can I stop my power bill from going up?” Smooth payment options level out power bills from winter and summer, allowing customers to pay one flat rate year-round. This makes budgeting for the energy bill simple and easy, and stops power bills from going up and down. How can I flatten my power bill? Smooth payments are offered by most New Zealand electricity retailers, although some have different terms and conditions attached. There are also varying levels of customer control, according to which power company you are with and how you use the tools offered. In most cases, the electricity retailer estimates the house’s annual power bills and divides that into regular direct debit payments. Most customers get a choice of paying weekly, fortnightly or monthly. It is important to note that you, as the consumer, are liable to pay for any power you use, whether or not your regular payments cover your bill. This means if your payment is not enough, the electricity retailer could increase your payment amount and/or bill you for the outstanding amount owed. Retailers will generally review the smooth payment at least once a year, with the frequency also changing depending on the retailer. It is also important to realise that levelling out your power bill across the year does not mean power price rates will not go up year-on-year, although some companies also offer price protection. Which companies offer price smoothing for my power bill? Powershop was the winner of Canstar Blue’s 2018 Most Satisfied Customers award for electricity providers because, at least partly, of the flexibility it offers customers to control how they pay their bills. For customers who sign up to its online shop, Powershop offers the chance to pre-purchase power by buying what it calls “Powerpacks”. It offers Top Up Packs for power to be used immediately, Future Packs for power to use at a later date and Special Packs offering one-off discounts. It also has a “Power Organiser calendar” which shows customers how many days their Powerpacks are estimated to cover. By buying Future Packs when electricity use is low and rates are cheaper – in spring and summer – Powershop customers can buy discounted power to use in winter, enabling them to budget for the year and smooth out costs. Energy Online offers a payment option it calls “Reliabill”, which customers can set up by phoning its 0800 number. It takes fixed payments from the customer’s bank account, smoothing out the highs and lows of the power bill across the year. Customers can choose weekly, fortnightly or monthly payments, and Energy Online checks the payments each year to ensure the payment is correct. By using Reliabill, customers guarantee a 20% prompt payment discount. Flick Electric offers a payment option it calls “Volt”, which allows customers to build up a stash of money to cover larger bills and smooth out payments. At first glance, Volt can be a little confusing but the benefit is that customers are in control of their weekly payments. With Volt, customers set a weekly Regular Payment, recommended to be 20% higher than a normal bill. The difference between this Regular Payment and the bill will go into the customer’s Volt. Customers also set their Volt Trigger amount, which signals when their Volt should be accessed to help pay their bill. For instance, if a customer’s normal bill is $30 a week they could set their Regular Payment to $36 a week and their Volt Trigger to $60. With normal $30 bills, $6 will go into their Volt. Bills above $36 but below $60 will still be deducted in full from the customer’s bank account or credit card. For bills above $60, $60 will be deducted from their bank account or credit card, but the remainder will be paid from the customer’s Volt (as long as there is enough money in there). 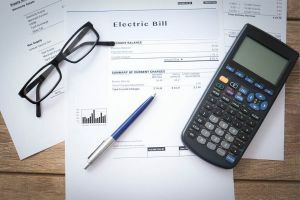 Customers wanting to pay the same bill every week could set their Regular Payment and Volt Trigger at the same amount – using the above example, both could be set to $40 and the customer will simply pay $40 each week. Customers can also set their Volt Trigger to $0 when they need a reprieve from weekly power bills, such as over Christmas. Flick offers customers a mobile app so they can keep track of their Volt and payment amounts. Pulse Energy offers the option of “SmoothPay” which spreads customers’ electricity payments evenly throughout the year. Pulse Energy calculates the customer’s power costs over a year and divides this into regular payments – customers can choose weekly, fortnightly or monthly direct debit payments. Customers still receive a monthly bill, so they can keep track of their energy use. The account will be reviewed after three months to ensure the regular payments are in line with the bills, and reviews will be done again periodically. Pulse Energy will give customers at least 10 days’ notice if the payment amount needs to be adjusted. Meridian Energy offers the option of “LevelPay”, a service that evens out the power bill over the year. Again, customers have the choice of making their direct debit weekly, fortnightly or monthly, and they will always qualify for an 11% prompt payment discount. Before signing up to LevelPay, customers must have three consecutive meter readings. Meridian will review the LevelPay amount every six months, but customers are responsible for reviewing their monthly bill and confirming payments cover use. At least 10 business days’ notice will be given if payments need to be adjusted. Genesis Energy offers customers the option of “Control-a-bill” where payments are evened out throughout the year. Again, customers can choose if they want their direct debit paid weekly, fortnightly or monthly. Customers using Control-a-bill also qualify for prompt payment discounts. Genesis Energy still sends customers a monthly bill so they can track their use. It will review the Control-a-bill amount at least once every 12 months, and may adjust payments with 10 days’ notice. Genesis may also request any debit balance be paid off. Contact Energy offers a payment option of “SmoothPay” which evens out payments across the whole year. Again, customs can customers can choose if they want their direct debit paid weekly, fortnightly or monthly, and payment discounts are guaranteed. Contact Energy periodically checks SmoothPay payments are in line with use, and payments can be adjusted with 10 days’ notice. Trustpower also offers a “SmoothPay” payment option, which avoids fluctuations in payments across summer and winter periods with one fixed amount. Like other electricity retailers, Trustpower offers customers the choice of weekly, fortnightly or monthly direct debit payments. Prompt payment discounts are guaranteed. Trustpower continues to send a monthly bill so customers can keep track of their payments. SmoothPay is recalculated every four months, to ensure customers are paying the right amount, and payments may be adjusted with 21 days’ notice. What is the best way to smooth my power bill? Keep an eye on your payments to avoid a big bill. While most electricity retailers will review your plan every 12 months, you should keep a close eye on your payments so you are not lumped with a big bill at the end of the year. Ask for a frequent review. The length of time between reviews varies from four months to 12 months but you can ask your retailer to review your payments if you are concerned you are not paying enough. Continue to save power. You won’t notice it immediately, but anything you can do to cut the amount of power you use will save you money in the long-run. Ensure you are on the right plan and using the right tariffs. Smooth payments are simply a way of paying your bills – not a power plan. You still need to ensure you are on the right plan, and with the right company for your circumstances, to get the cheapest power bill.